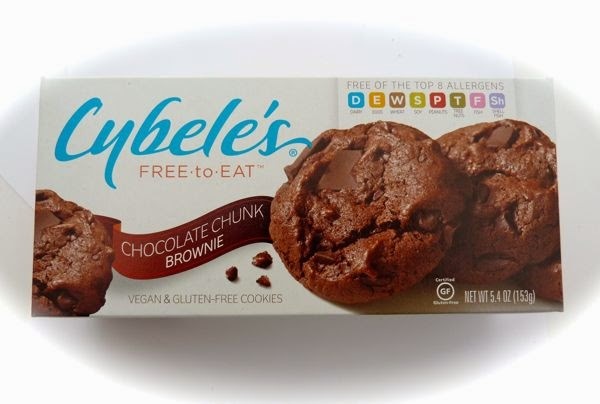 These vegan and gluten-free Chocolate Chunk Brownie cookies were from Cybele's/Free-to-Eat, Inc. (Los Angeles, CA). 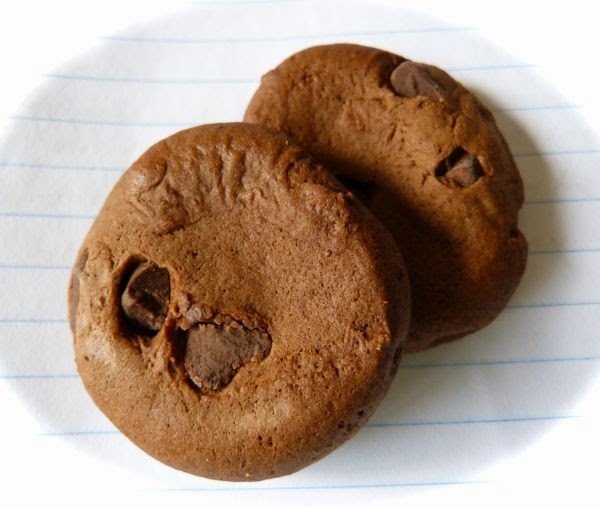 The cookies were notable for their soft, chewy brownie texture, but also for what they lacked. Notably absent were the top 8 allergens: dairy, eggs, wheat, soy, peanuts, tree nuts, fish and shellfish. These cookies were made in a "dedicated gluten-free, allergy-friendly" facility. Cybele Pascal (the force behind the Cybele's brand) became an allergy-friendly cook when her son was diagnosed with severe food allergies. She started baking from scratch and developed recipes that would help others enjoy allergy-safe versions of favorite foods.